Whether it is about a matter of common experience, an assessment of a situation, or our view on an issue, we speak on the basis of the knowledge and information that we seem to possess. Our entire worldview, resulting from science, religion, or everyday experience, rests on our knowledge of things and persons and places, and of the world at large. Most often, like the money in our hand that we spend, we don’t always inquire into how we came upon that knowledge, nor into the bases and validity of its source. Philosophers have been probing into the nature and validity of human knowledge. A systematic inquiry into these is the technical branch of philosophy, called epistemology. This is an important subject, not only because it is intrinsically interesting, but also because much of what we normally take for granted turns out to be either of only partial validity on rational grounds or sometimes, downright unacceptable. 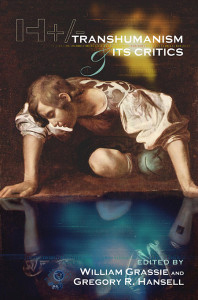 In the Western philosophical tradition, the modern impetus to epistemology came from the writings of David Hume, Immanuel Kant, and John Locke. In the Indic tradition it goes back to Vedic literature, and to the philosophical offshoots of the Vedas. In this lecture, I propose to discuss some of the epistemological theories and insights of classical Indic thinkers. The Vedic thinkers already distinguished between what we come to know through our senses (pratyaksha) and the knowledge that is remote from the senses (proksha). As to how one acquires the latter type of knowledge, the answer in the Vedic framework was: through divine testimony. This developed into the view that there are two kinds of knowledge: First there is knowledge about matters of everyday interest. Empirical knowledge, our knowledge of history, literature and philosophy, and practically everything we learn from books and teachers, constitute this kind of knowledge. It is described as apara. It is the kind of knowledge that tells us about our past, about this world, even about our arts and culture. This type of knowledge can be interesting, fascinating, and useful. But apara relates to that which is transitory and impermanent. Even our scriptures belong to this category. The other kind of knowledge is about that which never perishes. It tells us about the essence of things. This is the knowledge that spiritual aspirants seek. It is related to the Brahman of which mystics speak. The Upanishads often refer to this kind of knowledge. This knowledge is known as para. It is said that para knowledge is not something that one acquires or understands, but something that one experiences. In the Western tradition, Gnosticism was based on mysticism and esoteric practices. It was built on the conviction that by these means the human soul could pierce through the intervening opaque worlds between us and the realm of the Divine, and ultimately reach the heavenly world beyond. One of the tenets of Gnosticism was that it embodies higher knowledge which has come down to the practitioners from God Himself. This higher knowledge is about God and His Kingdom, about divine transcendence, about the esoteric origin of the world according to which the world is the result of some corruption of the divine. Like all revealed knowledge, it is to be accepted without proof or demand for proof. Gnosticism is also about ways of finding our way back to where we came from, and about the ultimate dissolution of the world. “That which is ungraspable, without family, without caste, without sight or hearing, without hands or feet, eternal, all-pervading, omnipresent, exceedingly subtle, that is the undecaying which the wise perceive as the source of all things” (I.i.5). This recognition of knowledge as belonging to two categories is an insight that clarifies many confusions in debates about the ultimate. Hindu thinkers understood that while we may have discussions which resolve intellectual disagreements on certain kinds of issues, when it comes to the nature and attributes of the transcendent, no amount of logic and proof can persuade people. Ultimately, the unfathomable mystery can only revealed at the deepest personal level. And then, the experience becomes ineffable: its authenticity can only be felt, not conveyed through words and reason. Whereas cup and bowl, doll and icon formed out of clay may be interesting, and their shape and form appreciated, the clay itself which is the essence of them all is of a different category. So it is with entities in the physical world: all manifestations of a single ultimate principle. 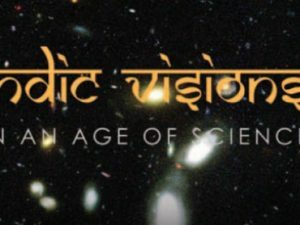 Science goes to the heart of the matter with respect to the physical world, whereas spiritual disciplines, in the Hindu framework, unravel the core of transcendent reality. Classification is a first step in any effort to understand a complex system. Aside from bringing some order into a maze of information, it enables us to develop fruitful concepts in terms of which we can bring some order into what appears at first blush to be a heap of disconnected facts. This uncanny ability to classify and categorize every aspect of the human experience stands out as a characteristic genius of Indic thinkers. In a very ancient text known as Taittiriya Aranyaka it is stated that we derive knowledge through four different means: First there are the codes of law (smriti) which give us knowledge about what is permitted and what is not, what is right and what is wrong. Then there is knowledge about the existence of tangible things. Thus we know that the knife is sharp, that the sky is blue, that there is music in the air, that the rose of fragrant and sugar is sweet. Such knowledge is acquired through the senses. This is pratyaksha. Then we have knowledge about the importance of festivals, about the days when we must fast, and so on. This kind of knowledge comes from tradition (aitihya). Finally, when we know that it is going to rain because there are dark clouds above, or that something must have happened to an absentee student in class who is normally regular, we have inferential knowledge (anumana). Much of later Hindu epistemology consists of elaborations and modifications of these basic concepts. What is interesting in this analysis is the insight that knowledge serves a variety of purposes, and is therefore to be contextualized. Thus, knowledge may serve as a guide to proper conduct (smriti). It could make us aware of the world in our immediate vicinity (pratyaksha). Knowledge also serves to keep us connected to our community and collective history (aitihya). Finally, knowledge could be about matters that are not immediately recognized (anumana). The nyaya-vaisheshika system is one of several systems of Indian philosophy which discuss theories of knowledge. It has also been the most influential in the history of Indic epistemology. The ideas developed here are complex and sometimes controversial. They are closely linked to purely logical systems, some of which are non-Aristotelian in structure. The theoretical framework involves many technical terms and concepts. The nyaya-vaisheshika introduces the notion of the truth content of propositions in terms of the modes by which they are arrived. The completely dependable sources of correct knowledge, prama, are known as pramanas. Taking inspiration from earlier works, it also maintains that correct knowledge, prama, may be obtained through four modes. First we have our faculties of perception. Much of what we believe to be true arises from our sense. This therefore is regarded as the most fundamental of all. Then there is comparison. This often serves to understand better what is presented as the truth. Analogies are very helpful in explaining how a system works. Much of our knowledge, whether reliable or otherwise, also results from what we hear from others. The next pramana is anumana or inference. Even without directly perceiving something, we may become aware of its existence through a process of logical deduction. In the inference process, reasoning plays an important role. This is beyond pure perception. In any inference, there are three elements. One infers something (A) about entity (B), from a sign (C). That which is inferred (A) is known as sadhya. That about which (B) one makes an inference is known as paksha. Finally, that which serves as instrument or sign (C) which enables us to make the is known as linga. In other words, every inferred statement is of the form: From C, I conclude A about B. For example, if I hear a siren, I may infer that an ambulance or a police car is speeding by. The motion of the car – which is what we infer – would be sadhya in this case. The car itself would be paksha, for it is about it that we make the inference. The sound of the siren which serves as the indicator for what is inferred, would be the linga. Thus, from the siren I conclude the speeding of an ambulance or a police car. We note that in this chain of reasoning we assume an invariable correlation between what is inferred and the sign. Thus, in our example, we take it as a fact that a siren is always associated with an ambulance or a police car. On what basis do we take this to be case? On the basis of numerous past experiences. In other words, the reasoning based on inference is not an Aristotelian syllogism which is purely deductive, but an application of inductive reasoning. Inductive logic is at the root of empirical science. On the other hand, there are some explicitly stated sources of invalid (a-prama) knowledge. Thus, knowledge through dream is regarded as invalid. Some Indian logicians maintained that the ultimate criterion for the validity of knowledge is its concordance with observed data. This concurs remarkably with the empiricist criterion in science for acceptability of propositions. Another rule enunciated for knowledge-validity is the success of an affirmation in a practical context. 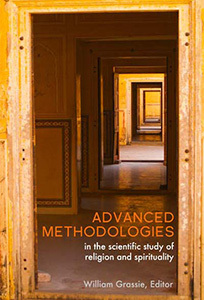 In other words, long before the pragmatic epistemology and instrumentalism of Charles Peirce and John Dewey, Indian epistemologists adopted a pragmatic view of knowledge. It is a fact of common experience that the perceived world is characterized by multiplicity. Shankara, one of the foremost Indian thinkers, elaborated on the idea of non-duality: Known as advaita, the thesis is that there are two levels of reality: the ephemeral and the enduring. The latter is ultimate Reality, and it is indivisible. Recognizing the ultimate unity behind the apparent diversity is true knowledge and wisdom. There is an aphorism in the Shvetashvatara Upanishad which says “mayam tu prakritim viddhi”: Know, however, that the world is maya. Shankaracharya expounded on the idea of maya as the appearance which veils the true nature of things. It is ignorance that covers that which actually is. In his famous analogy, the ignorant person mistakes a rope for a snake. Shankara explains the experienced multiplicity by saying that our senses create the illusion of many. This appearance of distinctions between the many when they are in fact one and only one is is also described as maya. This is a key concept in Indic epistemology. Volumes have been written on maya which is often rendered into English as illusion. The essence of ultimate reality is normally hidden from our apprehension of it because of a number of constraining factors that are imposed on matter and mind. The result of all the blinding factors is the creation of an illusory world to which the normal human mind is invariably and even inevitably subjected. Insofar as maya is a veil that screens the true nature of reality from our apprehension, it is often regarded as something negative. Some scholars have suggested that this negative aspect of maya has sometimes been over-stressed resulting in a pessimistic worldview. This lead to a devaluation of the physical world which was considered misleading, and unworthy of our concern in the context of spiritual pursuits. Illusions are mistaken impressions, and hence must be overcome. Other exponents on Indian thought, in their effort not to ascribe anything uncomplimentary to a concept that has had a profound influence on Indic ulture, have questioned this thesis, arguing that this is a misinterpretation of both Shankara and of history. In any event, I wish to give here an altogether different interpretation of the term maya. I would interpret maya, not as a negative view of perceived reality, but rather as a recognition of its intrinsic nature: namely, that notwithstanding its appearance of being real and the ultimate, it is not so in fact. This is not unlike what modern science has revealed: Whether it is the sun’s motion across the heavens, the colorful arc that spans the sky, or the solid matter we touch and feel, these are not quite what they seem to be. Their ultimate nature is different from the impression they create. The important thing to remember, and one that is ignored all to often, is that it does not follow that anything that is illusory is necessarily trivial, uninteresting, or useless. Quite the contrary. Indeed, it turns out that not only are illusions inevitable in the context of everyday living, practically every significant element of culture and civilization rests on grand illusions. Upon scrutiny, they turn out to be not quite true. In other words, maya is not necessarily evil and hurtful, or unworthy of attention. Rather, it can be often be enlightening and revelatory. Upon careful reflection, we find that maya serves us very well in the course of our lives, and that it is at the root of many of our enjoyments, institutions, intellectual exercises, and societal interactions. Certain aspects of maya have even helped us gain a deeper understanding (or visions of higher categories) of reality. Let us consider some of these. Literature is emotional maya. It paints imaginary people and events in moving ways, it kindles our longing for justice, it allows us to express our capacities for anger and compassion, and it helps us in our search for the deeper truths regarding human nature. We know that not one page in a novel is true, yet great literature moves us profoundly, it touches our feelings and stirs our emotions. Democracy, in principle, is a form of government in which every citizen has a say in the affairs of the nation. Communism is supposed to be the power of the people, the end of oppression, and the absence of exploitation. But we know only too well that these are not quite so in actuality. When examined through the microscope of critical analysis, political institutions are maya too. And yet, such political maya makes millions of people feel they truly enjoy freedom and economic security. 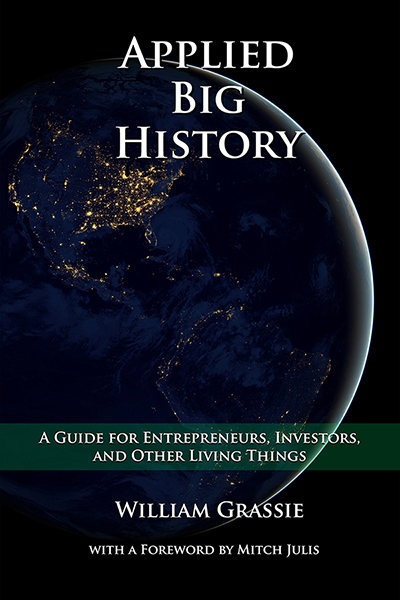 History, in theory, is a record of major events that occurred in the past. In most instances, however, it is a narration of events that did not happen the way they are reported. The goal of history often is, intentionally or otherwise, to make a people feel good about their past. History is, in effect, a patriotic maya. It serves the important purpose of making a people feel good about themselves. It is necessary for a healthy self-image of a people. Mythology is another grand maya that has played an important role in human culture. It speaks of gods and demons who never existed, in terms and language that are inspiring and fascinating. Yet, mythologies also make a people feel good, creating in them, like history, the impression that their past was graced by majestic beings, by all powerful heroes and heroines who fought for the good and defeated the evil. Myths are thus inspirational maya. Mathematics is logical maya. It gives us impeccable demonstrations of theorems, reveals the consistency of concepts, and takes us to abstract domains of sharp analysis. Yet, it has been shown that at the ultimate level, it is impossible to logically prove the basic propositions (the inner consistency) of mathematical systems. Religion is spiritual maya, creating the impression that we truly know about the nature and attributes of a divine principle. Yet, it gives meaning and purpose to life, and more importantly, it has been, and continues to be, the source of solace an psychological comfort to countless millions. In mystical experience one sees visions of a reality that is probably the result of abnormal brain biochemistry. Mystical experience is a powerful psychological maya which has nevertheless instigated affirmations and utterances that have transformed the lives and world views of many individuals and groups. Philosophy is speculative maya, a play with concepts and ideas, creating systems in terms of which one tries to interpret in broad terms the nature of human thought, condition, and world views. With careful analysis and argumentation, however, every system of philosophy crumbles down. Finally, we have science whose goal is to reveal the nature of physical reality. But science too is maya. The history of science shows that many past theories, explanations, and convictions of the scientific world were totally wrong. Science is fruitful maya. Its framework provides us with intellectual satisfactions, and with its results we are able to concoct a great many things to satisfy our need and greed. Thus, not just individual lives but civilizations and institutions are based upon maya of all kinds. We are condemned or blessed to lead a life that is both distorted and enriched by a variety of maya. What all this means is that human life is condemned as it were to operate at a superficial level of reality. The superficiality provides many passing insights, enjoyments, and even fruits: which is probably, evolutionarily speaking, why they arose in the first place. The general impression one gets from most books on Indic culture is that its thinkers were primarily occupied with transcendental reality: its ultimate nature, its role in human life and consciousness, and how one is to attain an awareness of it. This impression is not entirely incorrect. Many outstanding thinkers and poets of Indic traditions have forcefully presented what is generally called the spiritual dimension of reality, as also humanity’s innate and inseparable connections with that spiritual substratum. However, when one attempts to get a full picture of the range and variety of Indic thoughts and systems over the centuries, one must mention another kind of philosophical reflections which has also existed in India since time immemorial. It is essentially materialist in orientation, denying and even ridiculing the ubiquitous spiritual refrain among the major spokespersons of Indic culture. This school of thought never came to assert itself, but its calls and categories have never been totally silenced either, though the establishment has tried to snub and snuff such movements, overtly or subtly. For the members of this group, known as the Carvakas, all that mattered was matter itself. True, there was consciousness, the Carvakas conceded. But this was no more than another manifestation of matter. Jivatman and paramatman were all gibberish, they maintained. A person dies, and that is the end of it: No spirit and no re-entry into another body. Rituals to the departed serve no purpose but to feed the priests. A natural consequence of this philosophy was a hedonistic ethics: As long as we live, let us make the best of it. Pleasure should be the ultimate goal of all enterprise. Every unenjoyed moment is a wasted moment. Those who preach we should renounce the world because of pain and suffering want to throw the baby with the bathwater. There is pain and suffering in life, but there is also thorn in every rose. Does it mean we should ignore the rose? Should grain be discarded because the husk comes with it? These ideas sound so alien to the normal modes of Hindu thinking, yet they were as Hindu as any other. Indeed, all through Indian history, thinkers with such heretical views have come up now and again. But they often moved counter to the common current. They were exceptions rather than the rule, seldom permitted to become part of the mainstream. Such radical thinkers either broke away or were subdued; they either established new religions or became brief chapters, if not footnotes, in books on Indian philosophy. We may picture Carvaka as a highly original thinker who could not possibly accept what must have seemed to him to be a lot of mumbo-jumbo in Vedic rituals, and who dared to speak out against the system. The Mahabharata refers to an individual by this name. There he is described as a Rakshasa who befriended the evil Duryodhana. 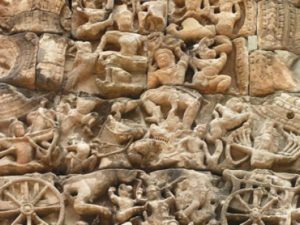 In one scene he appears as a Brahmin who accuses the just and righteous Yudhishtira when the latter returned triumphantly to the capital, of having killed his own kith and kin. The all-knowing Brahmins exposed him, and by their spiritual fires, reduced him to inconsequential ash. Intellectual and spiritual rebels have but two fates: eventually they are deified or destroyed. It is entirely possible that Carvaka was but a symbol, a name for a whole group of people who did not take the routine rites and rituals seriously; for whom feast and frolic were more meaningful than prayer or pilgrimage. Quite probably, they also poked fun at the pious postures of penitents and pundits. 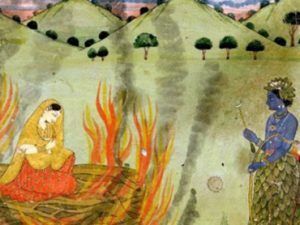 The personage of Carvaka has even less substantiality than that of the great names associated with the other great systems of Hindu philosophy, for there is hardly any writing that is directly attributed to the man. 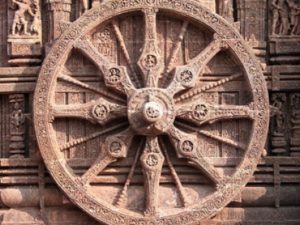 Yet, it is not inconceivable that some acute thinker, bearing no matter what name, must have led a major materialistic movement in ancient India. 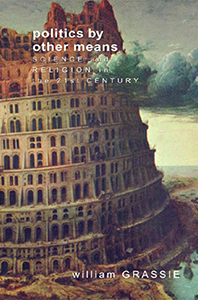 Some historians of Indian science have argued that if thinkers belonging to these materialist schools had succeeded in asserting themselves, and their ideas and worldview had been embraced by more serious thinkers and investigators, the spark of modern science might well have been lit in the Indian subcontinent long before it occurred in Western Europe. 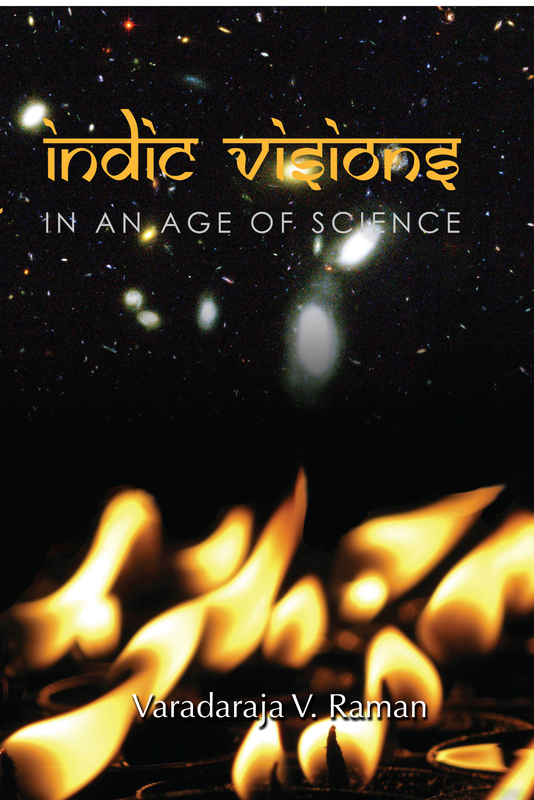 In such an if-then history, if the materialist school had prevailed, science as we understand the term today would have spread from India to the rest of the world, rather than the other way around. But speculative history serves little purpose. However, while it may be true that the spirituality-based culture of India did not lead to the invention of the steam engine or the electric motor, in its own way it served the cultural needs and religious longings of the Indian people. It has also contributed immeasurably to the art, music, poetry and philosophy of India Furthermore, one could argue, viewing the grandiose mess into which modern science and industrial civilization have led the West, dragging in its slippery slide the rest of the world also to a possible precipitous plunge into irreversible disasters, perhaps it was good that Indian wisdom held in check the crass materialist philosophies which have periodically tried to raise their head in the subcontinent. No matter how objective we think our appraisal of truth is, ultimately there is an inevitable factor that influences it. This is the factor of perspective. Every statement of truth is anchored to a framework. what this means is that there is a multiplicity of theses concerning any issue. This may be called the not-one-thesis. It was propounded by Jaina philosophers in ancient India. 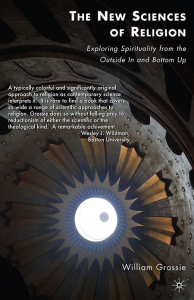 The doctrine arises from two basic recognitions: one philosophical and the other physical. The philosophical insight is the duality of contradictory elements that is implicit in many systems: joy and sorrow, knowledge and ignorance, light and darkness, life and death, etc. The physical insight is that not only the world, but its components consist of countless characteristics. This means that our reflection on any aspect of the world could focus on one or another of these. Hence whatever we say about something is in the context of what we are focusing on, in other words, in our perspective. Thus, not-one-thesis rejects absolutism and totalizing tendencies. This idea has received many metaphysical extensions and interpretations. But the simple essence of the thesis is that one cannot claim one’s own vision of anything as embodying the absolute truth. This very important idea becomes not just relevant but very essential in contexts of political, moral, social, and religious issues. In other words, all truths are relative and only contextually significant. It is important to understand that not-one-thesis does not imply that any and every belief or opinion counts or that one should attach equal weight to every vie or doctrine. It merely reminds us that no matter what view one holds, it is a function of the perspective from which one considers the issue. Thus, if we ask the question, “Does God exist?” some might say Yes, and some No, because not everyone comes to the issue from the same perspective. More specifically, some would say that Jesus is the Savior, others that Allah is the only God, yet others that Vishnu is the God, and so on. Each person is right from his or her own perspective. Reality has both a universal side and many particular sides. Some Indic thinkers (advaitins, samkhyas) claim that only the absolute is real. Others (like the carvakas) hold that only the particulars are real. Yet others (nyaya-vaiseshikas) regard the universal and the particulars as both real and distinct. In the Jaina view, everything has both a universal and a particular aspect. Thus a pot has particular features: its shape, color, weight, etc. Its universal aspect is the material from which it was formed. The particular features are passing, the ultimate is permanent. “[In my former life] I always sought for reasons and had very little faith…I used to utter words based on plausible reasons…I used to speak irreverently of the declarations of the Shrutis…I was an unbeliever, skeptical of everything, and though really ignorant, proud of my learning” (Shanti Parva: 180). In this we see that questions of reasoning, criticisms of esoteric knowledge, belief, faith, skepticism, were all part of the daily discourse. 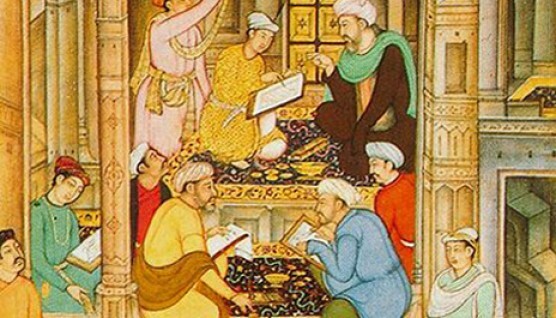 Hindu thinkers were among the first to write on epistemology with explicit reference to our faculties of perception. Indeed, they stressed how much of human knowledge is acquired through our sense organs. This may seem a truism when it is pointed out. But it has profound implications when it comes to evaluating human knowledge. First, given that the senses can create illusion, whether optical, auditory, olfactory, gustatory, or tactile, it is clear that sensorially acquired information is not always a hundred percent reliable. This recognition is the first step in epistemology, and its is also the first step in humility in the context of human knowledge. Moreover, it leads to a another intriguing thought. Given that our sensory perceptions are determined by the kind of bodies–cerebral physiology–we happen to possess, all human knowledge is ultimately a function of our brain chemistry. No matter what or how the external world of reality is, the phenomenal world–as Kant was to remind us centuries later–is different from the noumenal world. This leads us to the conclusion that what we call objective knowledge is actually species-subjective. Another interesting aspect of Hindu thought in this context is the notion that the sense organs are also the source of all pleasure and pain. In other words, the instruments through which we acquire knowledge also serves to add to our enjoyment and suffering. In a peculiar way this suggests–not in any poetic, philosophical, or metaphorical way, but as a simple matter of fact–that inextricably associated with knowledge are pain and pleasure: an idea that is suggested in a moralistic manner by the story of Adam, Eve, and the Apple. But this does not lead to pessimism in the Hindu context where the view is that human knowledge is like rose with its thorn, and is to be acquired for all its positive elements, but whose negative aspects should not be ignored or forgotten. Moreover, from the Hindu perceptive, there is a type of knowledge that transcends sense perceptions: This is the para knowledge, knowledge of that which is beyond the categories of space and time, of conservation and causality. This is not so much knowledge as experience. It cannot be dissected and analyzed, nor traced to this channel of perception or that. It can only be deeply felt in the core of our being, is more an experience than an understanding. The pursuit of this is what constitutes the spiritual quest. The Socratic rejection of science in favor of right living is an example of how sometimes one makes a decisive choice between what is only intellectually satisfying and what ultimately matters. With due respect to Socratic wisdom and to many spiritual masters in the Hindu world, one could take the position that each type of knowledge has a role in the life of an individual as of a culture, and that one can respect one without looking down upon the others. That is also a perspective that one could adopt with wisdom in Science-Religion dialogues.